As an office suite of desktop applications, Kingsoft Office consists of a word processor—Writer, a spreadsheet program—Spreadsheets and a presentation program—Presentation. Compared with other office suites, Kingsoft Office is considered as one of the best office applications with user-friendly interfaces and excellent performances. If a document was encrypted in Kingsoft Office Word, then you won’t be able to edit it without a password. So how to cope with this problem? Here is the instruction. 1. Open your encrypted with Kingsoft Office word, and then you will discover that you cannot edit it at all. 2. Click on the home button of Kingsoft Office word, go to “File—-Save As”, choose the save type to “Web Page Files(*.html;*.htm)”. 3. Just open the web page file you just saved. 4. 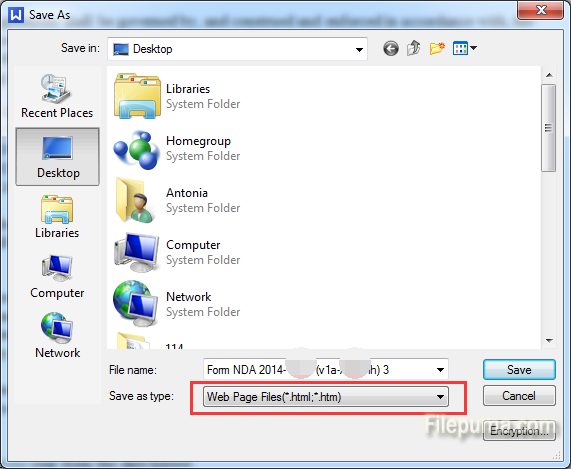 Then you will find the word document has been on the browser, and it can be copied and paste freely. 5. Copy the word document to a new word and then you can edit it freely.